Bobby Triantos loves flying and driving. One he does for a living, currently over the embattled skies of Afghanistan, the other he does for pleasure. His work ride is the deadliest attack helicopter on the planet; the other is an icon for Porsche lovers, a 1973 911 Carrera. Luckily for us, he takes great photos and video of both. Triantos is part of Alpha Troop “Silver Spurs” of the 3-17 Cavalry that was deployed to Jalalabad, Afghanistan in September 2015. “Our mission here is to train advise and assist the Afghanis. As an attack pilot we provide security and reconnaissance on a variety of missions and 24/7 quick reaction response. Since we’ve been here we have faced threats from both the Taliban and the growing ISIL-KP presence in the area. We counter the insurgency in place and have to fight an enemy that has evolved to our tactics and rules of engagement for the past 16 years. While the intensity of the conflict in this region has fluctuated over the years, we do trade fire with the enemy on a continuing basis, and nearly every crew member in our troop has engaged the enemy in support of coalition ground forces. 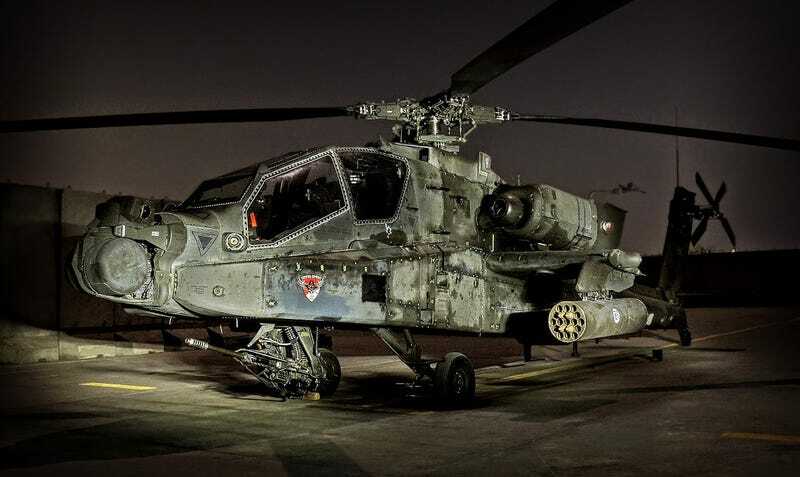 I especially love Triantos set featuring Apache nose art, with each helo getting its own unique moniker. It plays especially well on the AH-64s dark patinaed skin. A huge thanks to Chief Warrant Officer Triantos for sharing his awesome imagery and videos with us, and a big thumbs-up to the warriors of the Silver Spurs for risking their asses doing what they do.